Raise your hand if life is cuh-razy! We know that between everything you’ve got going on (and everything you’d like to do in the future! ), making time for date night can seem impossible. We ourselves have ended up doing a quick fast-food run more times than we’d like to count, but there always seems to be something missing. Well, not anymore! For all of you on-the-run folks out there, we’ve created a fast, free, and totally fun date night that takes drive-through dining to the next level. 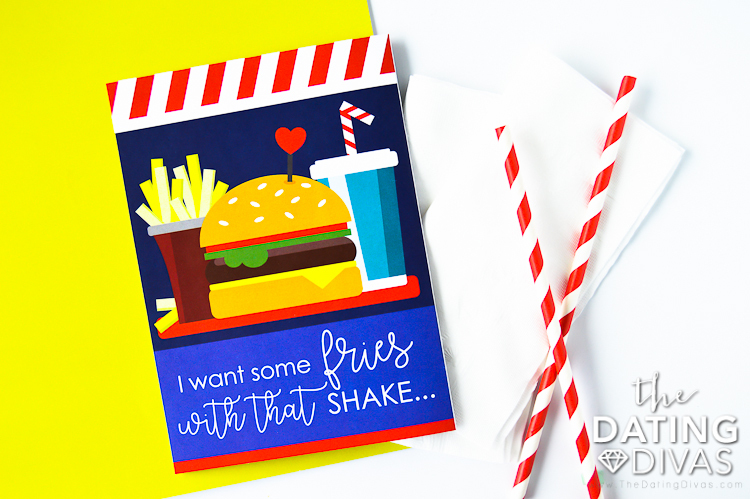 So get ready to grab a burger and a side of fries with your sweetie’s shake… [wink!]. Let’s check out the date! 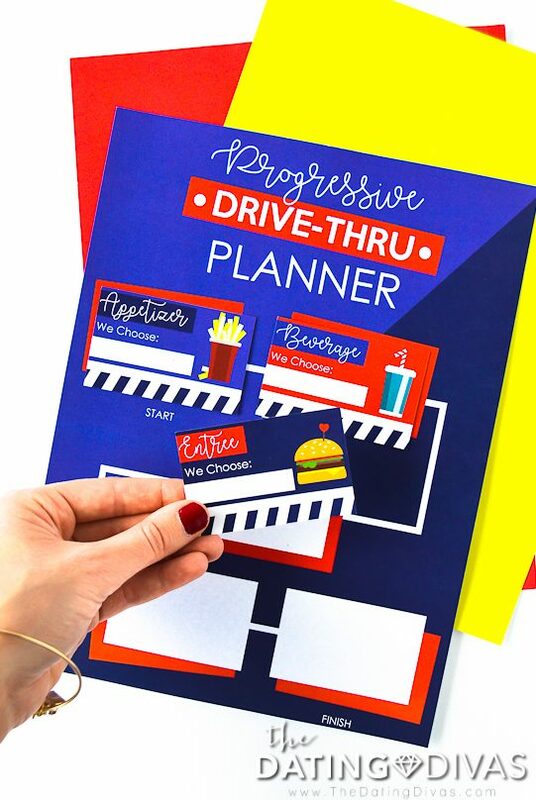 But before we dive into the drive through delights, we HAVE to give a huge designer shoutout to Diva Elizabeth! 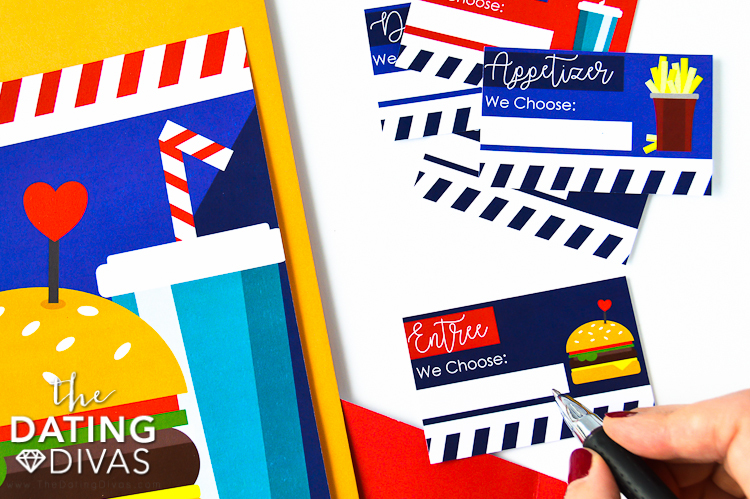 She created these printable fast-food favorites for us and we couldn’t be happier! 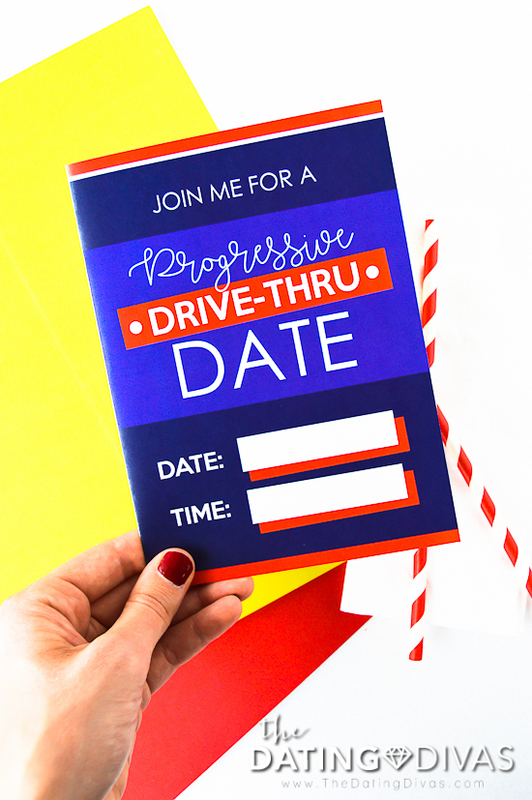 Your Progressive Drive Through Date is here to make life as simple as possible. That’s why we’ve included everything you need to take this date from start to finish! Take a look at the included items below, and keep reading through the post for a more detailed description of how to use them. In true Progressive Dinner fashion, you’ll be choosing different locations/restaurants for different meal items. So fun, right?! We’re here to walk you through everything you need, but we know it can be tricky remembering exactly how a date is supposed to go. 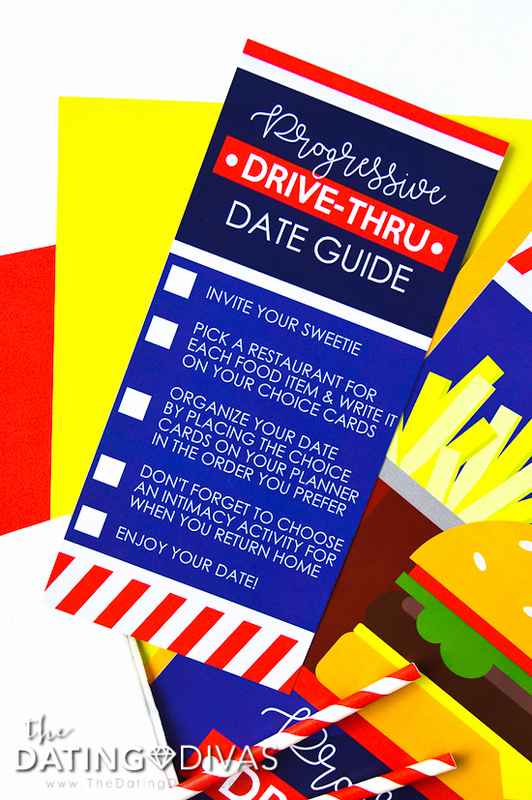 That’s why we’ve created this printable drive through date guide that you can keep with you the entire time. 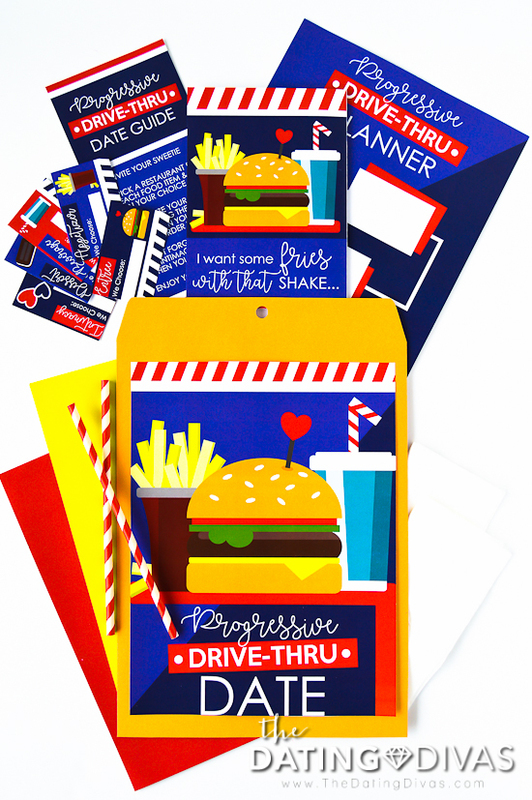 It’s organized from start to finish and will help you make your fast food date oh-so-easy and a total success. 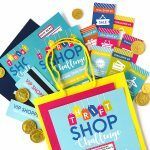 Take a peek at the items below and get ready to get going! Oh! And don’t forget some quality cardstock! 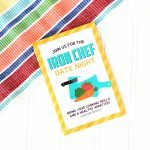 No date idea is complete without an invite and your printable download includes the perfect one! Seriously, just imagine your sweetie’s face when they read the fun and flirty message. We GUARANTEE their faces will blush and their mouths will water. The best part of all, it requires next to no prep work for you! Simply print, cut, and fold! The “meat” of this date involves choosing a different fast food restaurant for each of the following items: Appetizer, Entree, Beverage, and Dessert. All you need to do is work with your sweetie to decide which restaurant you want for each item! For example, you might choose to get Arby’s Mozzarella Sticks for your Appetizer and Wendy’s Frostys for your Dessert. The options are endless! We’ve even included a special Intimacy Card for when you return home. Use that card to choose a favorite bedroom game or activity you’d like to do. It’s the perfect way to round out your date when you have a little more time to do so. Once your choice cards are filled in and filled out, it’s time to map out your route! Decide what order you would like to get each food item. Feeling like having a little dessert first? Do it! Want to save the side for last? You can do that too! Simply place your cards on the planner in the order you prefer. P.S. 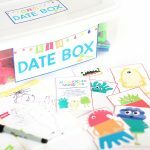 You could totally adapt this date to become a killer group date! Simply throw out the Intimacy Choice Card and work with your fellow group date members to decide which restaurants you want to hit up. Drive together or in separate cars and eat up! Last but not least, we’ve included a little something to make this date idea even simpler. After all, ease and efficiency (not to mention FUN!) are what this date is all about. 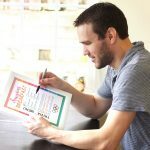 Your printable envelope cover will make bringing your printables along (and storing them later!) easier than ever. Simply affix the full page cover onto the front of a standard manila envelope, pack in the goodies, and voila! You’re ready to hit the road AND stay organized. How great is that?! 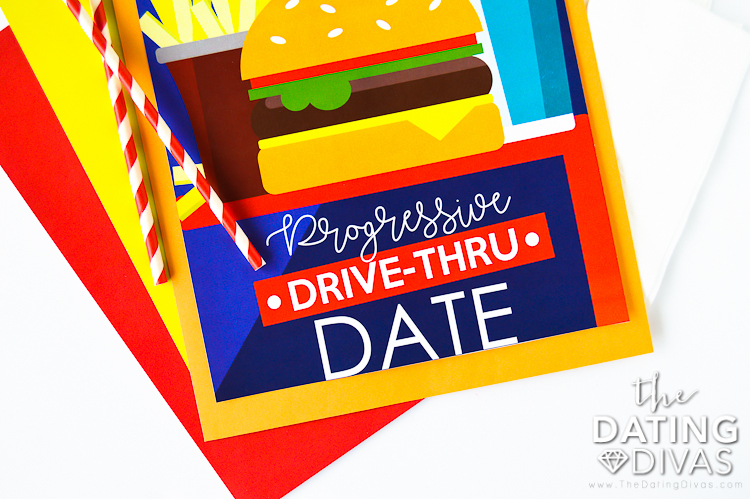 For a fast food treat that can’t be beat, this date is it! Be sure and give it a go the next time you and your sweetie are looking for a fun and fast way to reconnect. Or whenever you’re craving a burger. The choice is LITERALLY yours! If you love a good progressive dinner (who doesn’t?!) be sure and check out our Progressive Dinner Party Kit. It's easy, fun, and totally food-tastic! You might also want to take a peek at our Couple's Cafe! 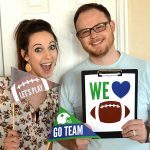 So fun & creative!1 Thanks for sharing! I LOVE this fun and easy date idea. I have teenage boys and this would be great with them too. My thought is a minor change about on the invite. They would love going to different restaurants for different parts of the meal. My boys are 13 and almost 15. We let the kids date but we mama’s come along. This would be soooo much fun, We would end up an arcade in our area. What a fun idea! Can’t wait to go out with my hubby and try this! We had a lot of fun with it – plus we each learned a bit more 🙂 Enjoy!